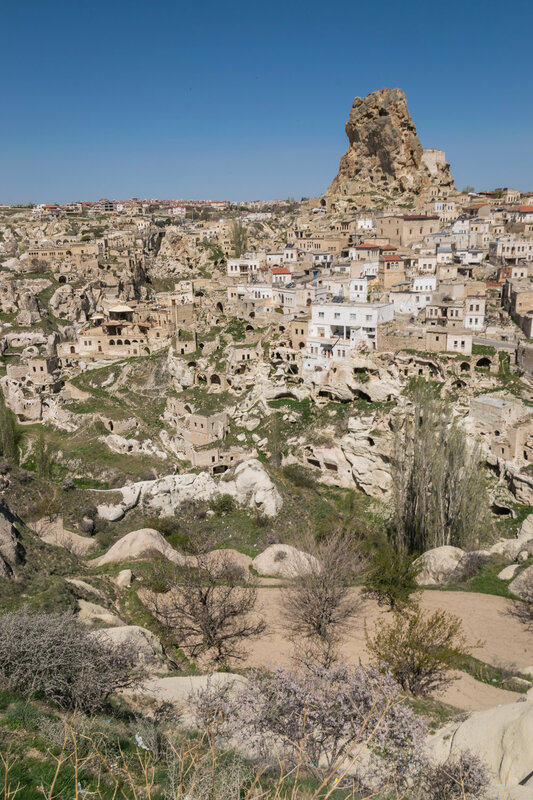 Kapadokya, which means "land of the beautiful horses" (or does it? 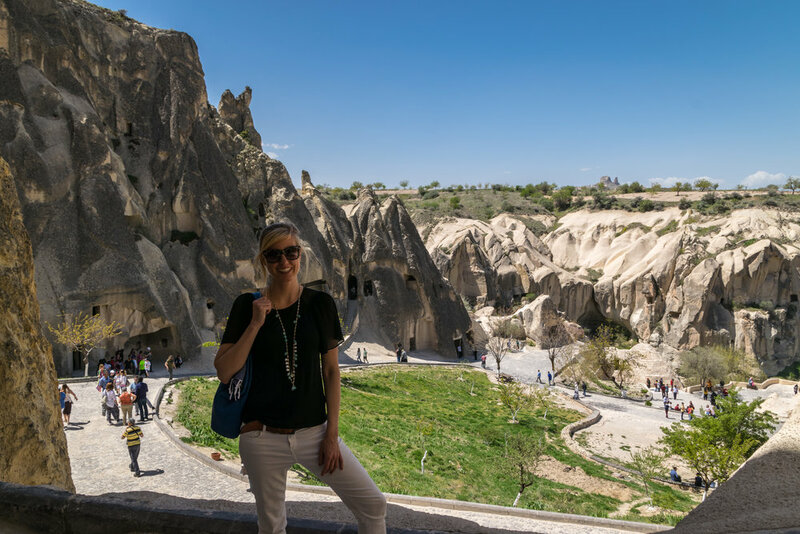 ), has more than enough to squeeze into a second full day, and guides Ali and Hazret wowed us with fairy chimneys, pigeon valleys, local artisans, and imaginary figures in rocks. 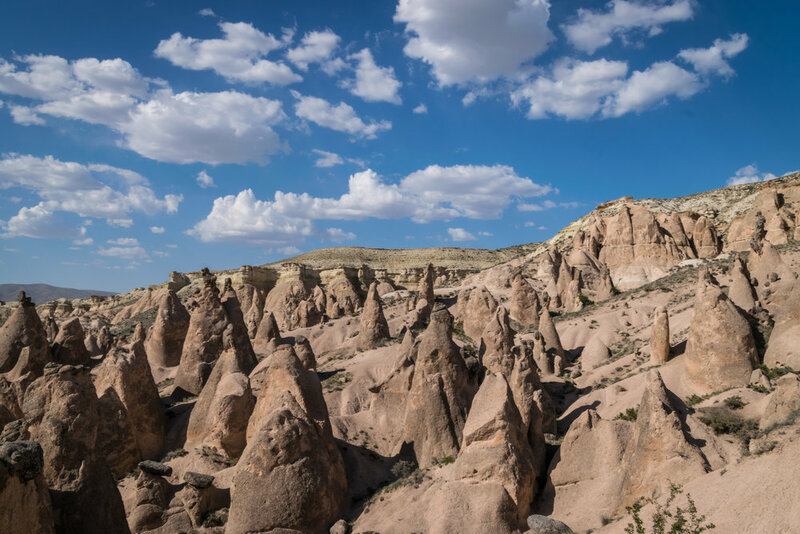 (Seriously, guides in this region work 18-hour days, 7 days a week, for a monthly salary of $500; it's unbelievable, so be sure to tip your guide.) 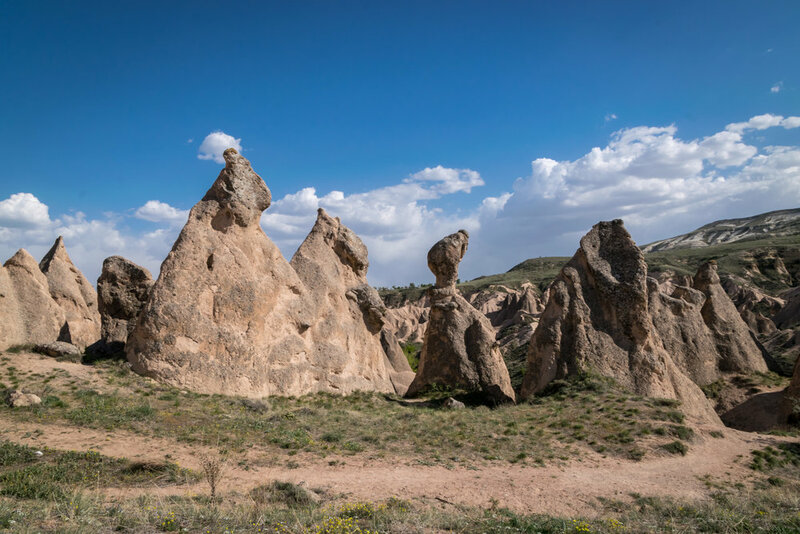 Enjoy my photos of the truly spectacular sights of Cappadocia! 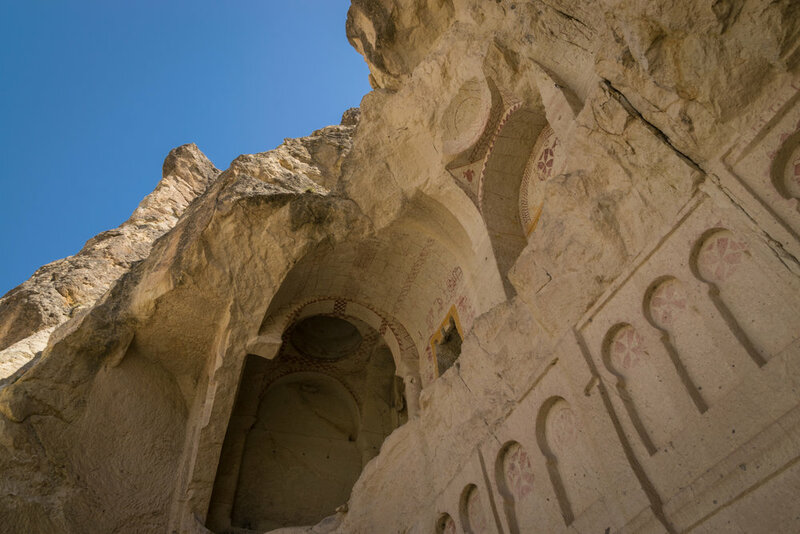 A popular spot in Cappadocia and for good reason, this "vast monastic complex" features many monasteries built in the rocks, each one with its own church decorated with colorful frescoes. 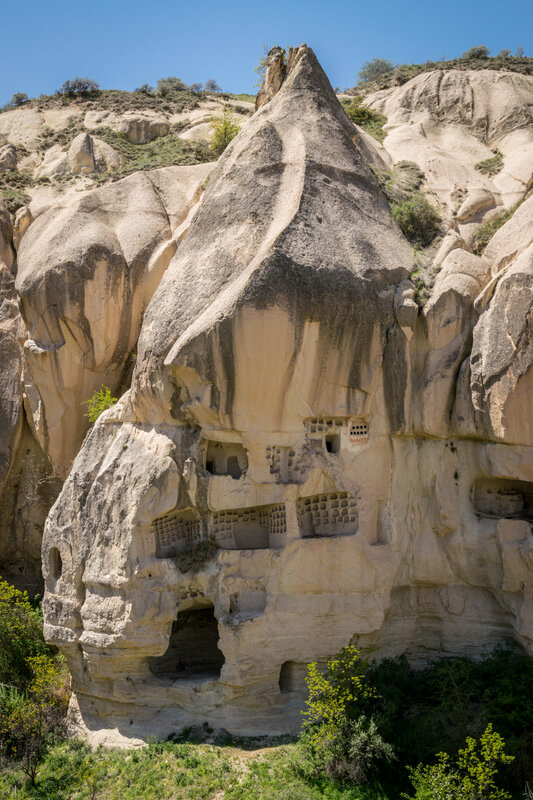 Göreme Open Air Museum's churches date back to the 10th century. 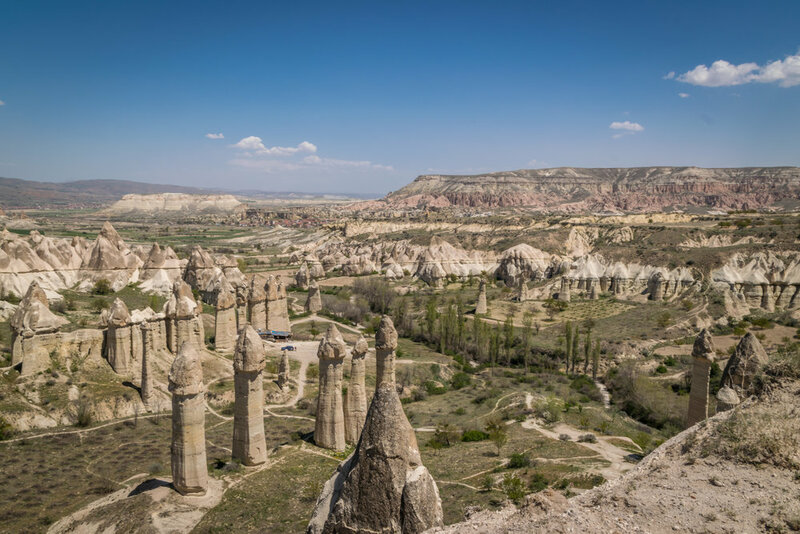 While it's easy to blush and snicker at the phallic-shaped rock formations all over Cappadocia, these remains from volcanic eruptions 3 to 9 million years ago are quite amazing. The morning balloon ride over them was spectacular as was an afternoon visit to the valley, where Ali filmed another one of his group video masterpieces. 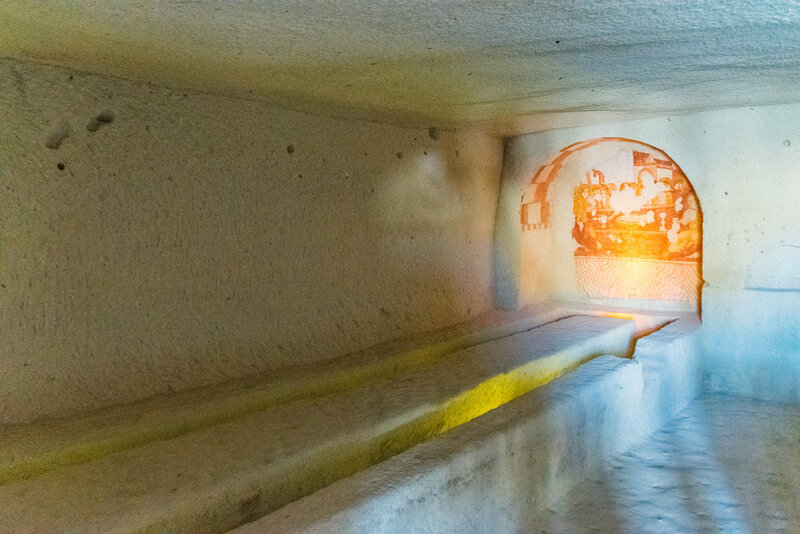 Paşabağ, meaning Pasha's Vineyard, is a truly unique sight to behold. 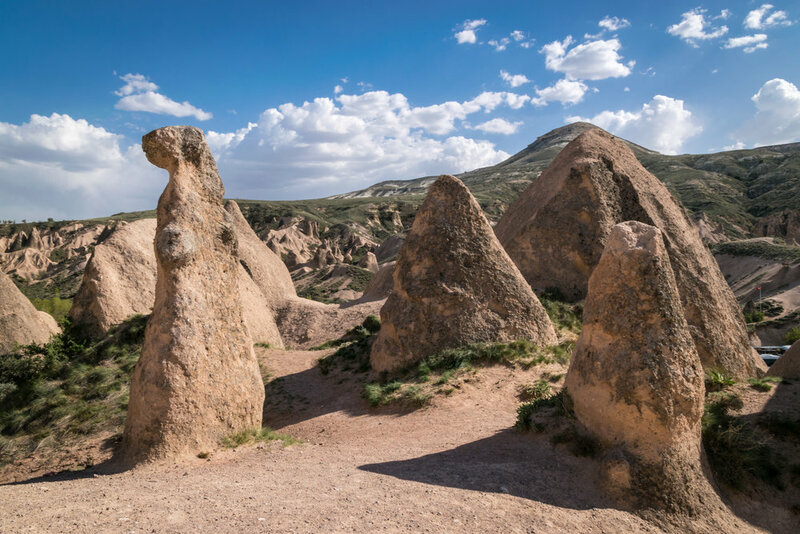 Here, fairy chimneys have double or triple rock caps making them resemble mushrooms. 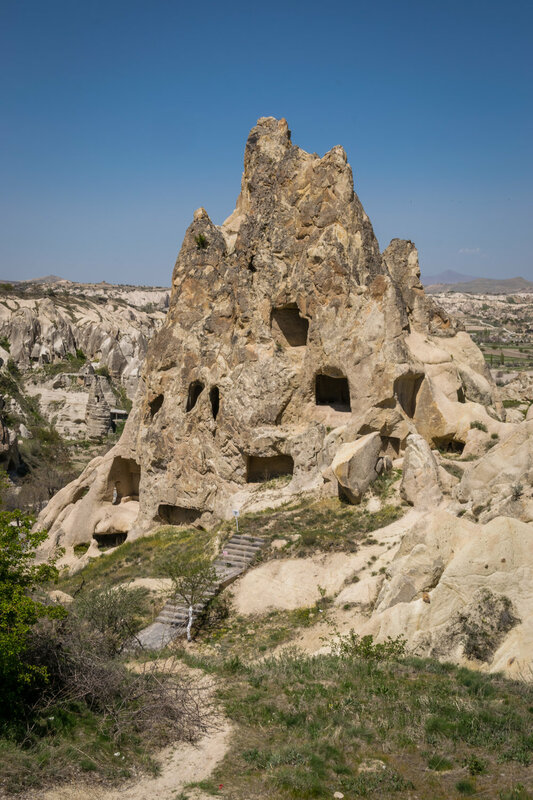 There are a few cave dwellings and churches in this cluster of volcanic rock formations, and a relaxed hike through the vineyards yields amazing views. Being part of a day tour, there were a few obligatory shopping stops along the way. 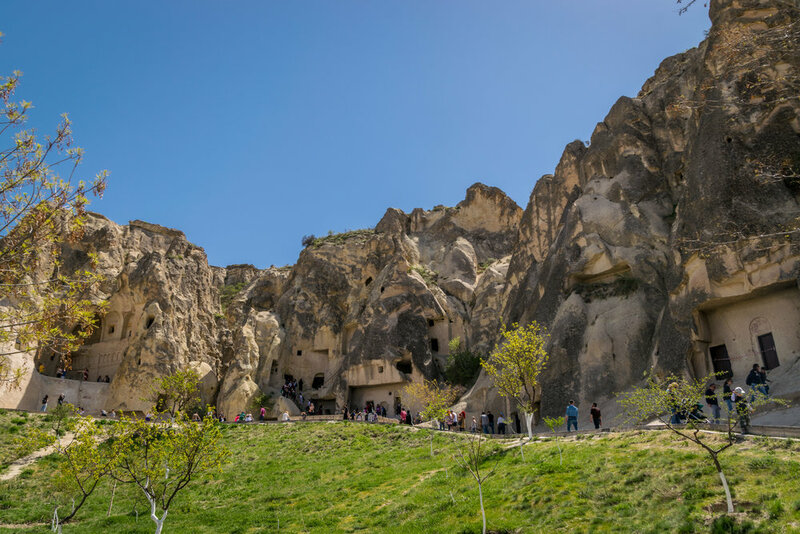 These included a stop at a pottery shop in Avanos, a riverside town famous for its clay products, and a massive rug store. It was interesting to see how these local goods are made, especially the rugs (watch how fast the lady's hands move in my video!) and I purchased a lovely clay Turkish tea cup and saucer for Mango's dogsitter in Istanbul. of course I'd volunteer to try my hand at the potter's wheel!